Win up to PHP100,000 in cash with your best dip recipe! If dips are your thing, The Choice of the Nation Competition is perfect for you. 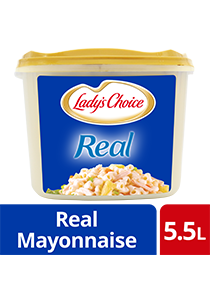 Enter your best dip at www.ladyschoiceofthenation.com and you could be crowned the winner with PHP100,000 cash prize and gifts! Submit your information so diners can know who you are, and add in your restaurant’s information so diners can know where you are. Add your dip’s name, description, recipe (we won’t show it!) and photos. Make sure your dip is in the Top 10 by getting your diners to vote from Aug 1 – 31. Downloadable posters, stickers, and images are available so you can promote your dip submission to your diners and friends. The 10 entries with the most number of votes will battle it out in a live cook-off, judged by an esteemed panel of industry and celebrity chefs. Make sure you submit your very best dip as you can submit only one! Already have winning a dip in mind? Sign up for the competition today. Registration closes on 31 July 2018.